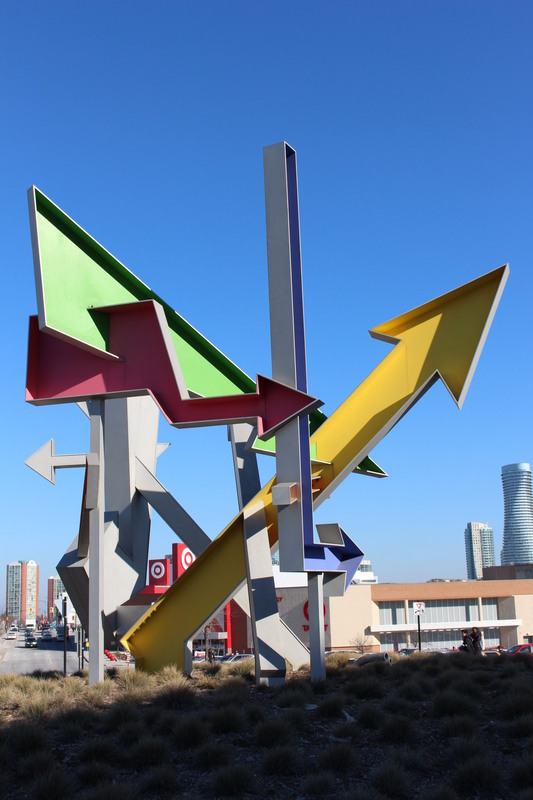 Possibilities is a public art piece by Montreal based artist Michel de Broin. 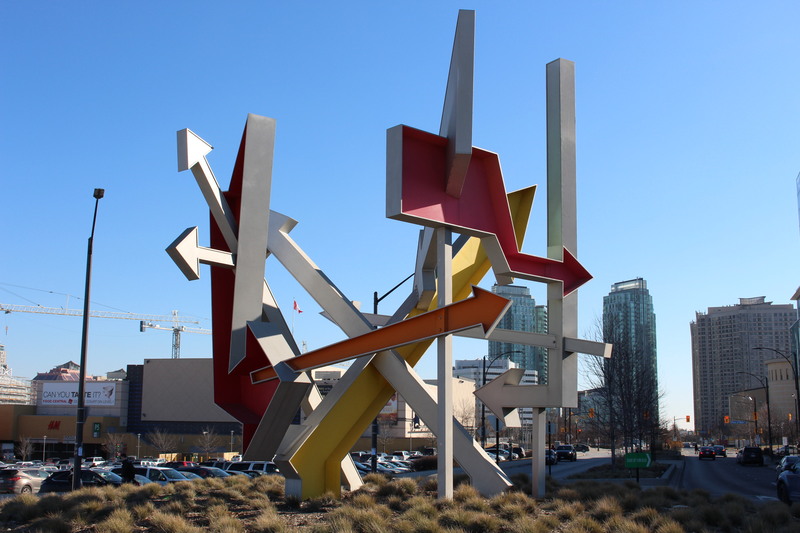 Installed in late 2012, Possibilities is located in the roundabout in front of Sheridan College Mississauga campus, at the intersection of Square One Drive and Duke of York Blvd. 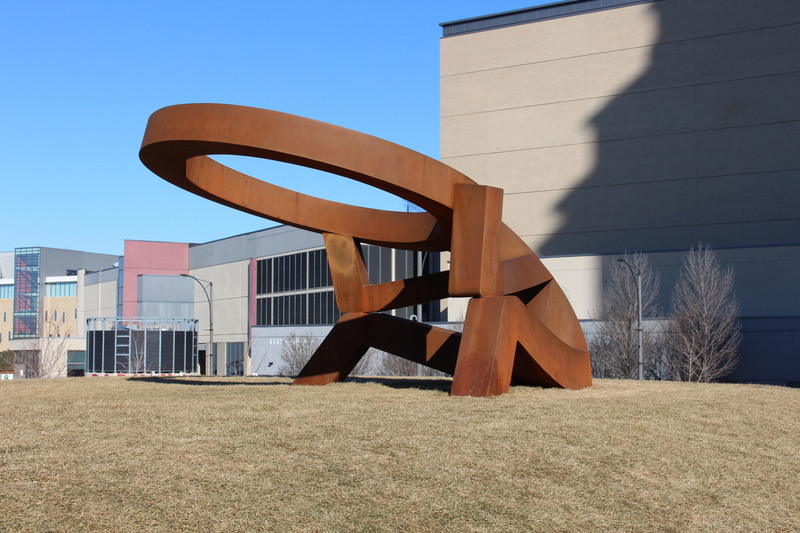 Today we will revisit this sculpture, which has added a noticeable splash of colour to the area just west of the Square One shopping mall. 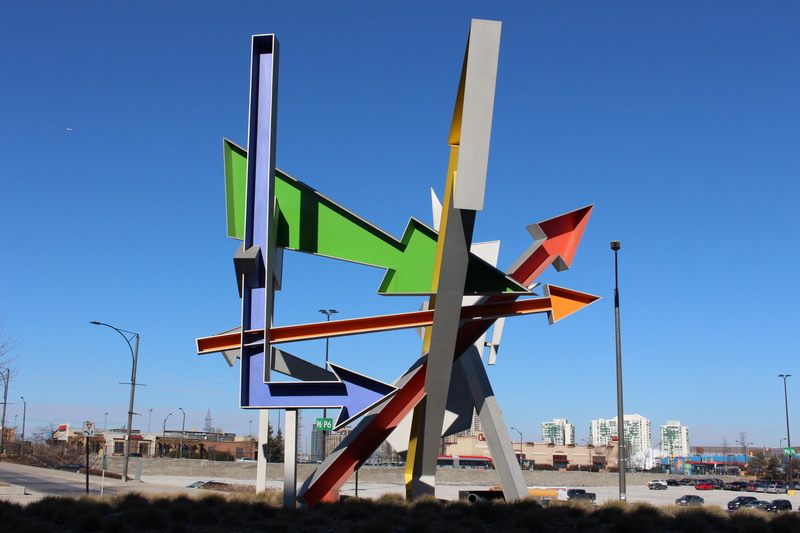 Created out of aluminum, Possibilities consists of eight coloured arrows, and is meant as a nostalgic reflection of 1950’s road signs. 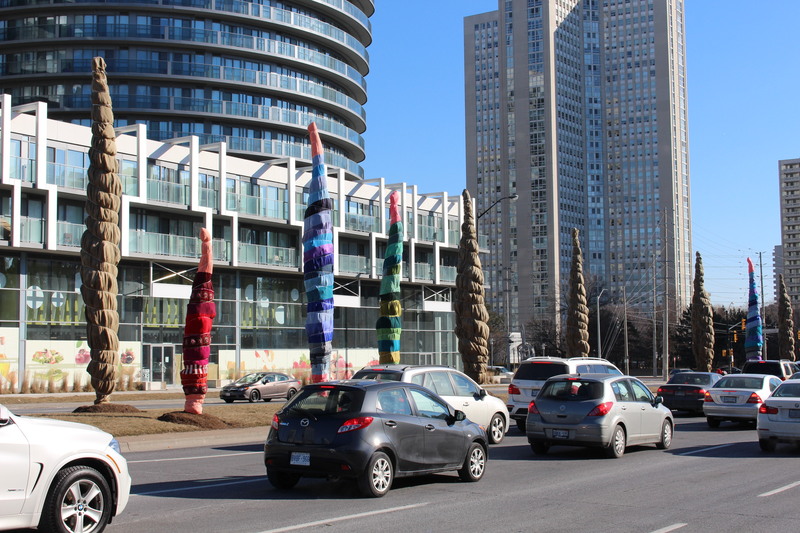 It seems to me that the sculpture is a pretty good reflection of Mississauga’s auto-centric past, also pointing to new possibilities as it morphs into a more urban future. 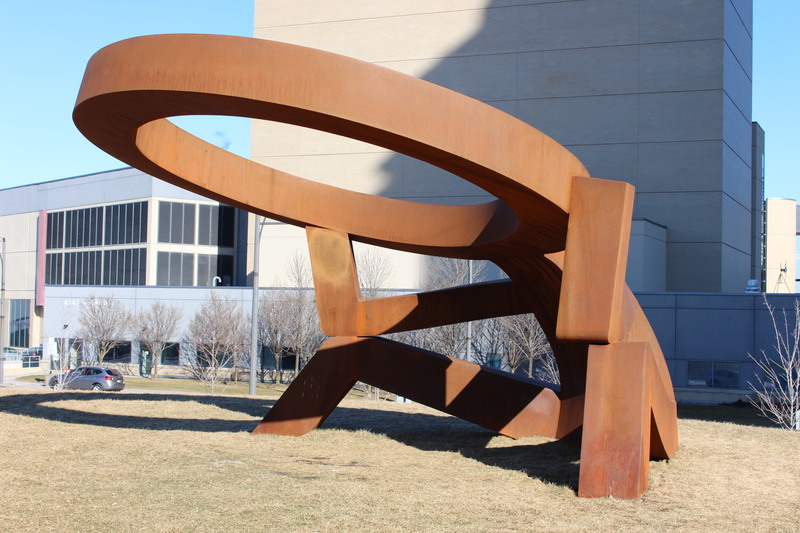 Michel de Broin is a noted Canadian artist, based in Montreal. 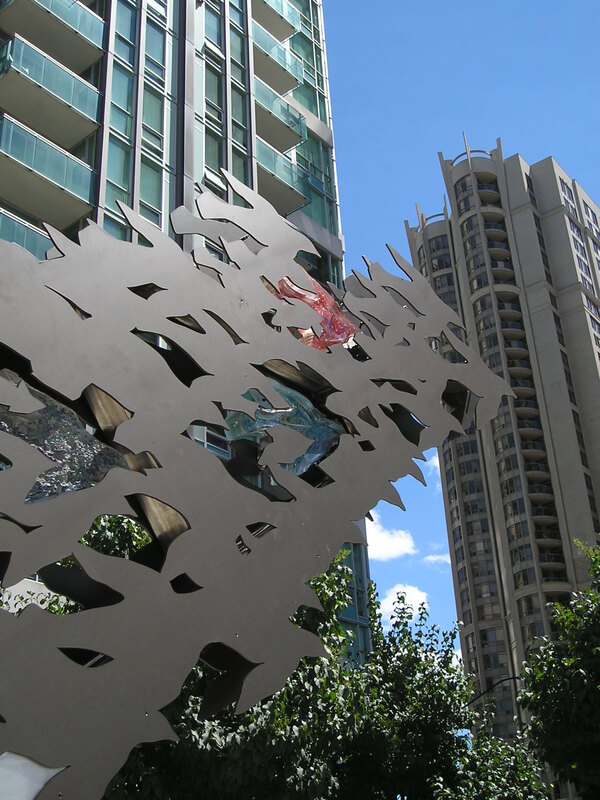 He has had exhibitions of his work in Canada, the U.S., France, Germany, and South Korea. You may remember news items about his recent contribution to Nuit Blanche celebrations in Paris, which consisted of a gigantic lit disco ball, elevated high in the sky. It was a crowd favourite in Paris. 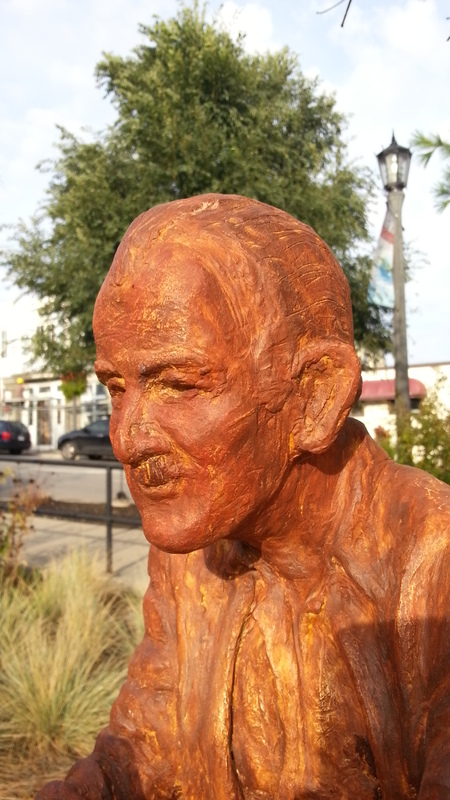 Michel is past winner of Canada’s Sobey Award, and he has a website here. Although most drivers on the roundabout probably won’t have much time to admire the work, I think that this latest piece of public art is another subtle and life affirming addition to the city centre. 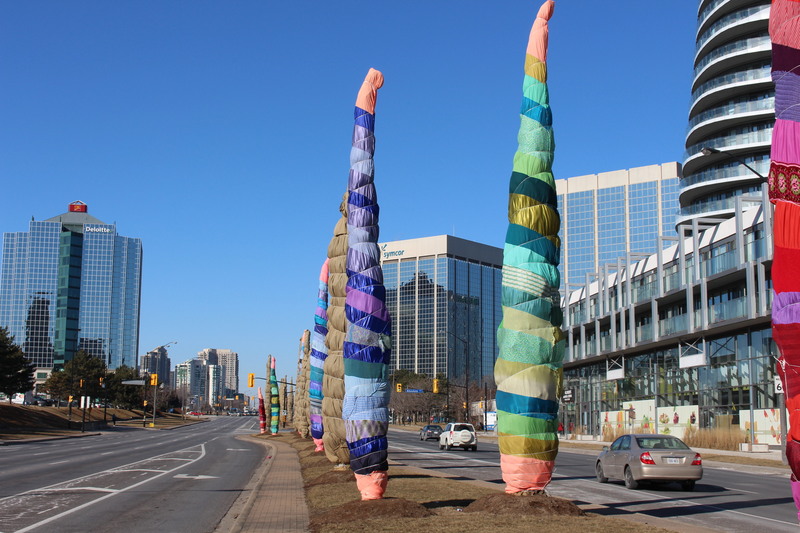 The folks at the City of Mississauga’s public art initiative are to be applauded for their ongoing efforts to bring splashes of colour for us all to enjoy. We all win, and Canadian artists benefit as well. 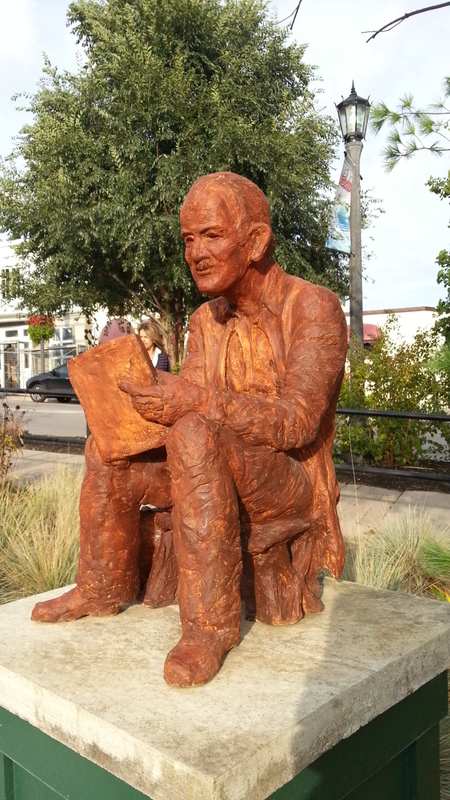 I like the fact that the area around Square One, which was previously mostly a wasteland, has transformed into something pretty special, peppered with public artwork, even as it is a work in progress. As phase 2 of the Sheridan campus takes shape, more and more people will be able to enjoy the “Possibilities” at this busy intersection. 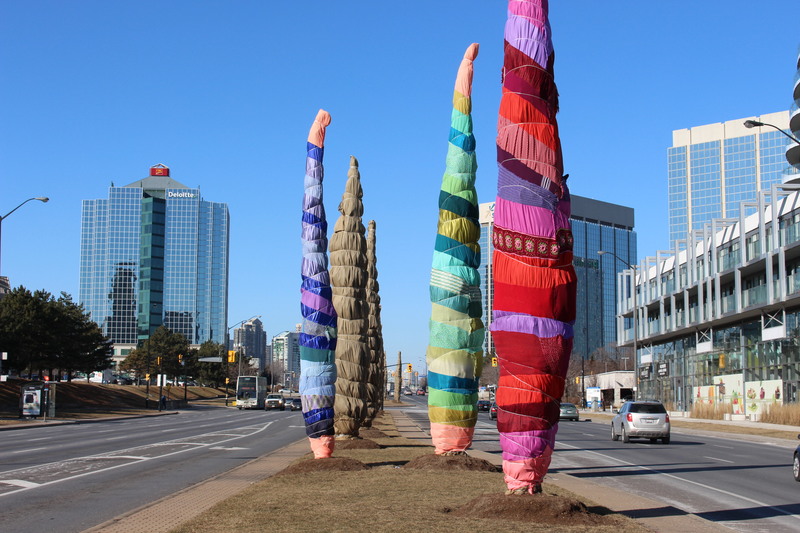 Two new public art sculptures were recently installed in Mississauga at the corner of Duke of York Blvd. and Burnhamthorpe Rd. 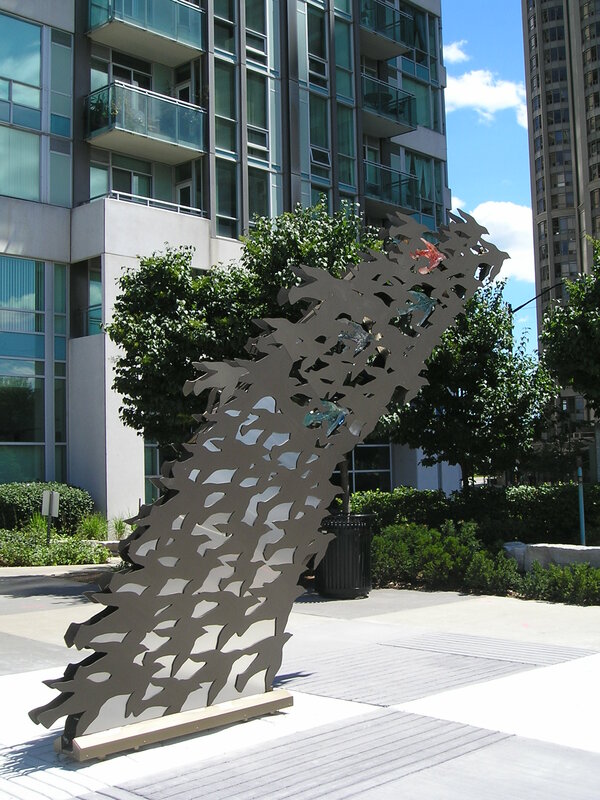 W. Entitled “Migration”, these stainless steel structures are by local artist Alex Anagnostou, and they portray a flock of now-extinct passenger pigeons in flight. 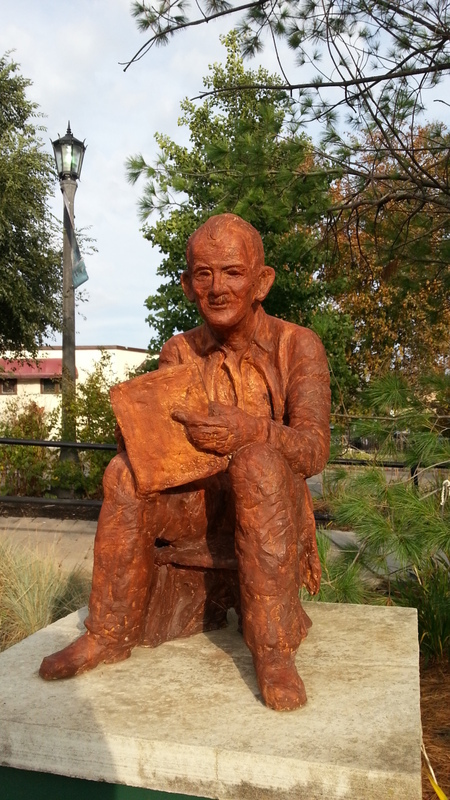 There are two statues – one is ‘V” shaped, on the west corner, and one is shaped like an arc, on the east side of the intersection. 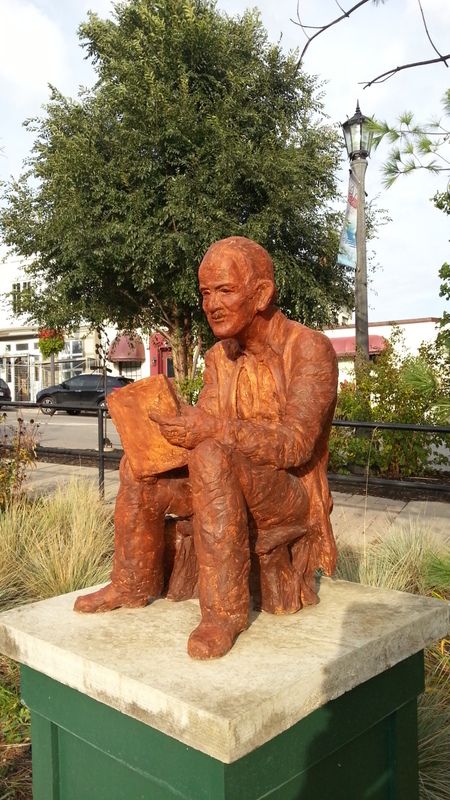 When I was there yesterday, lots of people were stopping to admire the artwork. 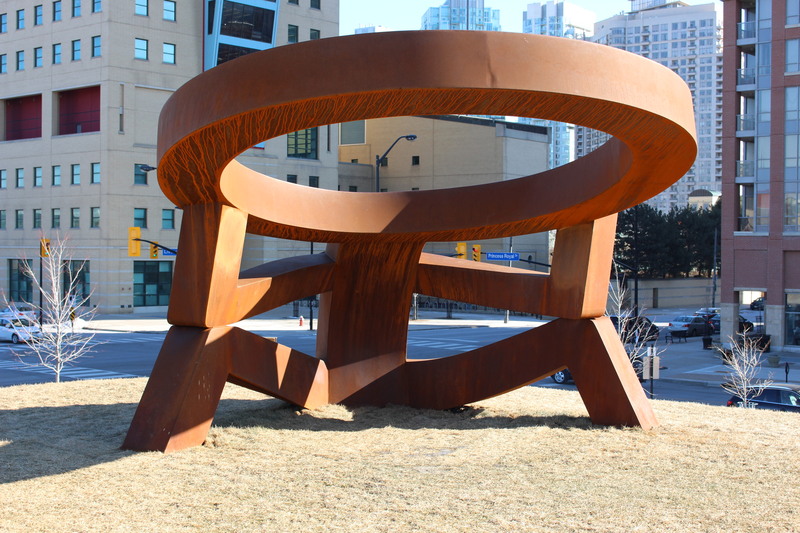 Per the City of Mississauga’s press release, they are constructed of aluminum, stainless steel, and sandcast molten glass. I have to admit, they are quite striking in person, The colourful glass birds are inlaid into the metal, providing a nice effect. 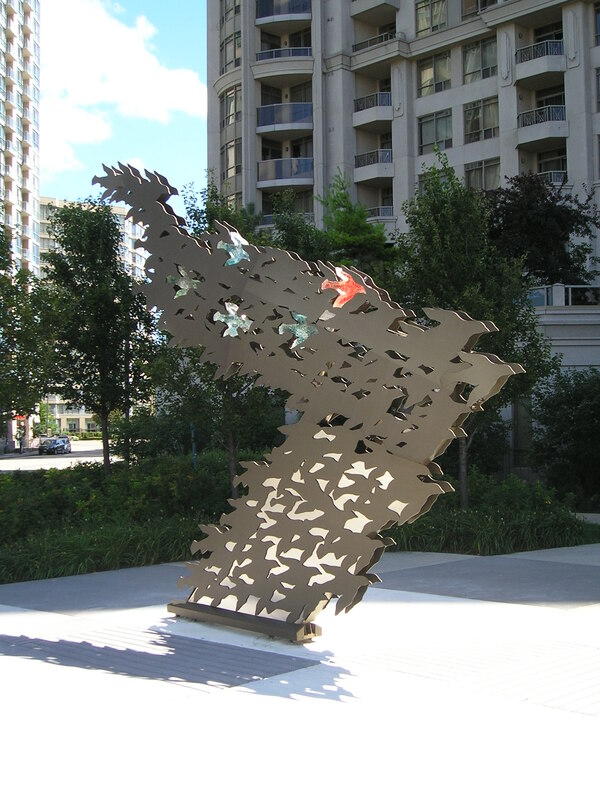 These sculptures pay homage to the passenger pigeon, which in the nineteenth century used to exist in southern Ontario; now they are no more.